The expressive cluster includes associations that have a creative or artistic focus. Some may find it surprising to combine art and engineering. However, EIGSI general engineers have humanities courses and are adaptable, able to understand and embrace societal values, opened to the world. This large background makes our students aware of the importance of all communication skills, including art. Art and creativity also occupy a prominent place in the curriculum of our students. EIGSI asks students in EIGSI-1 and EIGSI-3 to express their individual and collective values ​​through art: sculpture, theatre, singing, etc. On campus students will find clubs dedicated to video, photography, music, writing and clothing design. Skylight is the counterpart of Record for photography. Artistic photos, portraits, landscapes, school activities, Skylight includes all genres and produces professional quality photos. Larsen is the music club at EIGSI. It includes student musicians who perform in groups or solo. L’Expresso is an EIGSI institution that has been around since the schools earliest days in Paris. It has become the unofficial school newspaper, full of witticisms, satire and irony. 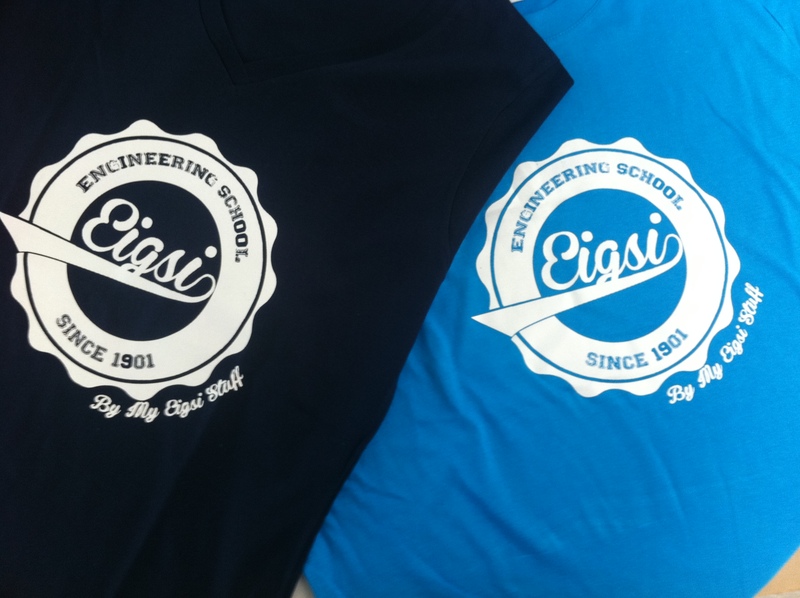 MyEIGSI Stuff creates and produces EIGSI branded clothing lines! From design to sales, the student members of MyEIGSI Stuff are totally independent and completely creative!